Back in March I tested the new Citroen C5 hatchback, and you will still find that test on this site. But the body the C5 was waiting for was the estate. It's not only much better-looking than the hatch, it's a more convincing car. 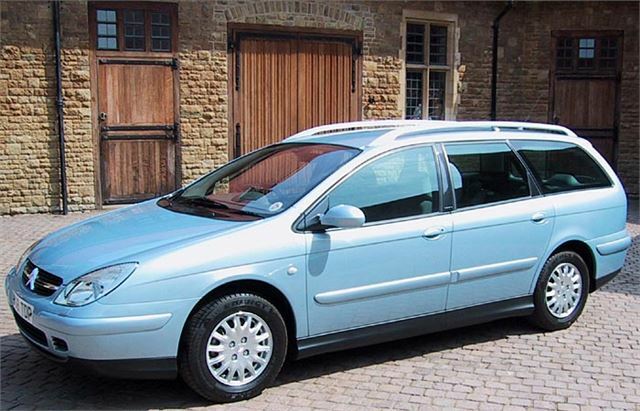 The C5 hatchback may come a poor third to the Mondeo and Laguna, but in many ways the C5 estate betters both. For a start, its Hydractive 3 suspension system is ideally suited to a load lugger. Not only does it keep the whole show level, it offers a feature unique in this price bracket. You can raise or lower the rear loading height at the press of a button. At its highest, the rear sill height is 653mm (26 inches) from the ground. Normal height is 564mm (22 inches). Yet at its lowest setting the rear sill height is a mere 493mm (19 inches) from the ground. Depending on what you need to load and from where, those 7 inches can make a big difference. The system is also invaluable for hitching up a trailer or caravan. And it's worth mentioning that the maximum towing weight of most manual models is an impressive 1,500kg. Inside, total cargo capacity is 1,658 litres: biggest in the class. The hatch opening width is 1,176mm at its narrowest. And, though the load deck is a bit shorter than the Mondeo's, it's still over nearly 2 metres long. Other practical features include a reversible rear load mat – carpet on one side and rubber on the other. 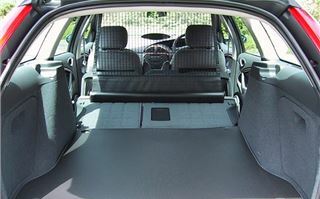 There are four strong tie-down eyes, a standard load net, a protective net between the loadspace and front seats, underfloor and side storage compartments, split/folding back seat with ski-flap, and an opening rear window which allows you to load smaller items without having to open the hatch. 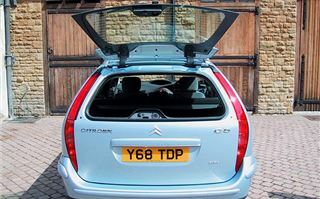 For passengers, the car feels even more roomy, bright and airy than the already spacious saloon. There's bags of rear legroom and a virtually flat floor, so the centre rear passenger doesn't draw a short straw. And the rear doors open wide with low sills, greatly aiding entry for the elderly. On the road, the car makes a similarly better case for itself than the hatchback. It feels even more roomy. It seems to grip more strongly at the front so you are less likely to run wide on a corner if you get it wrong. The ride quality is always smooth and supple whatever the quality of the road surface (something increasingly important in Blair's Britain). And the deep 65-section 195/15 or 205/15 tyres help to shrug off minor pot-holes (though V6 and HDi Exclusive models go down to 215/55s). Because I'd covered the other engine and gearbox combinations in my test of the saloons, this time I concentrated on the new 2.0 litre 143bhp HPi petrol manual and the 2.2 litre 136bhp HDi diesel automatic. The 2.0 litre petrol HPi provided an excellent combination of pep and low-speed torque. Even when changing up to fifth on a hill it didn't complain and simply hauled the car over the crest. The big benefit of this engine is that you don't have to change down so often, and as a result its combined consumption is 36.7mpg, an impressive 3.1mpg better than the normally-aspirated 136bhp 2.0 litre petrol engine. It's even better in town, where the urban cycle figure rises from the 23.7mpg of the 136bhp 2.0 to 27.2mpg. The 2.2 litre HDi diesel automatic was another nice surprise. The 4-speed autobox offers a choice of 'Tiptronic'-style self-selection up to pre-set rev limits, or simply doing the job for you. Either way, in my brief drive, the engine and box seemed well matched if a little pricey at from £20,700 to £25,200. Prices start at £15,595 for the 1.8iLX, but cheap deal of the range is the 2.0HDi 90bhp LX at £16,270. All models have ABS brakes with Electronic Brake Force Distribution (ABD) which increases the force on the brakes when the driver needs to stop quickly and also warns drivers behind with a flash of the car's hazard lights. Through the range, equipment levels are high, with Trafficmaster Oracle, air-conditioning, pollen filter, five three-point seatbelts, front and side airbags and an audible speed warning in all models. 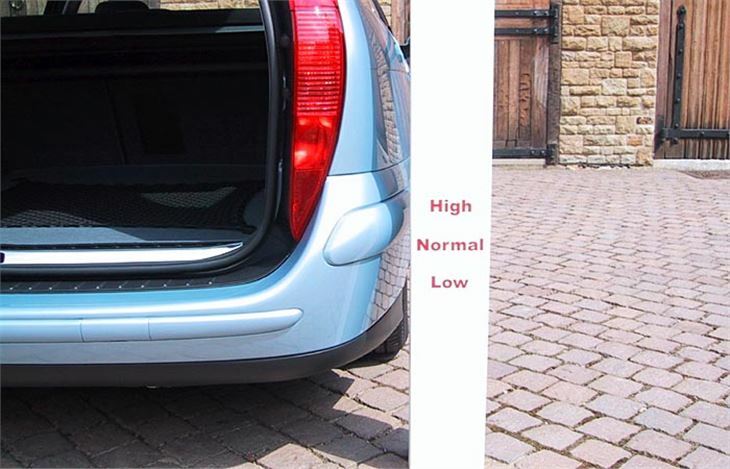 All are also fitted with a Thatcham-developed security system, together with a radio that cannot be used in any other car and an odometer which cannot be clocked. Finally, a word about accessories. Every manufacturer seems to offer some sort of park assist these days. 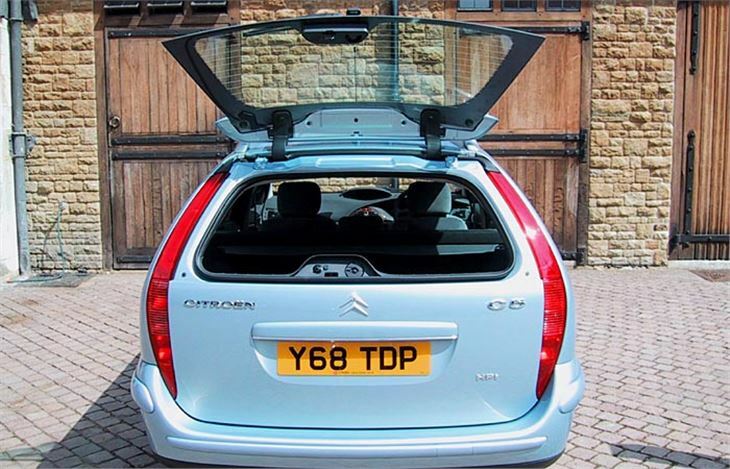 But the Citroen C5 parking package not only includes the usual proximity bleepers, but also a dipping nearside door mirror, a dipping rear view mirror and door mirrors that fold automatically when the car is parked.